The fourth annual Linganore Winecellars Cross Country Classic will be held on Sunday, September 22, 2019. Three distances, 5 mile, 10 mile, and Half Marathon will utilize a scenic 5 mile loop course through the vineyards, fields and surrounding wooded areas. The Half Marathon will start at 8:00AM, the 10 Mile will start at 8:15AM, and the 5 Mile will start at 8:30AM. The Linganore races are a challenge, but “fun running at a great place” might be an apt phrase to describe the event! With free wine tasting coupons (for those 21 and older) handed out to runners, and with excellent wines and beers to try/drink/consume after running, everyone will hopefully enjoy themselves in the vineyard, tasting room, and brewery. Linganore Winecellars and the Red Shedman Farm Brewery and Hopyard are located just Northwest of Baltimore in beautiful Mt. Airy, MD. More information on these two great venues can be found at http://www.linganorewines.com and at http://redshedman.com. Both will be open for runners and their guests to visit after the race. Runners can also register for the race at packet pickup on Saturday afternoon September 21st from 4-5PM, and at packet pickup race morning starting at 7:00AM. All packet pickup takes place at Linganore Winecellars. Packet pickup will be from 4:00-5:00PM Saturday September 21 at the race location at Linganore Winecellars. Packet pickup will commence on race day at 7:15 AM at Linganore Winecellars. Parking will be in a designated area at the race location. There will be signs and volunteers to assist with directing runners to the correct parking area. There is a stone arch at the end of the driveway with a sign that says “Linganore Winecellars” and “Red Shedman.” Look for additional small signs directing you to “Runner Parking” and for volunteers that will assist you. 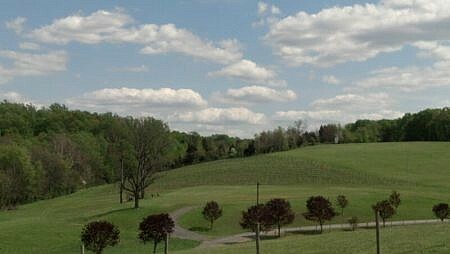 Linganore Winecellars is about 45 minutes West of Baltimore, MD and only about 1 hour 15 minutes from Washington, DC. The closest airport is Baltimore Washington International (BWI) about 50 minutes away. The preferred hotels for events at Linganore Winecellars are the Marriott properties less than 30 minutes away in Frederick, MD, which includes Fairfield Inn, Marriott Suites, Marriott Courtyard, Residence Inn, and Town Place. They are all off of MD-85 in Frederick. If you would like to be a race volunteer please contact Frank and Mike at events@altisendurance.com. Volunteers earn free race entries for themselves (or to donate to a friend/relative) in any Altis Endurance race and/or donations to a favorite charity/non-profit organization. All entrants receive a race t-shirt. Each event finisher will receive a customized finisher medal designed by Steel Images. All entrants over 21 receive a free wine tasting coupon, and there will be Red Shedman growler jugs awarded to the top male and female finisher at each distance which is filled with the brew of your choice! Last year Altis Endurance Sports was proud to support Anna’s Gift with a donation on behalf of our awesome aid station volunteers. We plan to support Anna’s Gift again in 2018. Typical temperatures for Mt. Airy, MD in late September average in the low 60’s with morning lows in the 30’s or 40’s at the event start times. The 2018 half marathon results are at https://ultrasignup.com/results_event.aspx?did=56353. To view the 5 Miler and 10 Miler results simply click on the half marathon results and then click on the green colored 10 Miler or 5 Miler links. To view the 5 Miler and 10 Miler results simply click on the half marathon results and then click on the green colored 10 Miler or 5 Miler links. The 2016 half marathon results are at https://ultrasignup.com/results_event.aspx?did=38973. To view the 5 Miler and 10 Miler results simply click on the half marathon results and then click on the green colored 10 Miler or 5 Miler links. Results will be posted the day after the event with a link here and on the race page at www.ultrasignup.com. There will be 2 full aid stations for each 5 mile loop (1 at the start/finish) and 1 additional water-only station. So runners in the 10 mile event will pass the full aid stations 3 times and the water only station twice before the finish. Half Marathoners will pass the full aid stations a minimum of 4 times and the water only station at least 2 times before the finish. The two full aid stations will have the usual race food, i.e. cookies, chips, water, and Gatorade. It is recommended that runners bring their own energy gels and electrolytes to the race as needed. Runners have 4 hours 30 minutes to complete the half marathon; 4 hours and 15 minutes hours to complete the 10 mile event; and 4 hours to complete the 5 mile event. All finishers will receive quality finisher medals and a custom t-shirt which will include the race logo (late registrations subject to availability). Also, there are plans for additional promotional awards to the top finishers by gender in each race (such as coupons for free tastings and gift cards for use at the winery). More details to follow! As is the case with most races, there will be no refunds of entry fees to entrants. Transfers of race bibs from one runner to another is also not allowed. If the race fills there will not be a waiting list. If you have any questions please contact Frank or Mike at events@altisendurance.com. Get Fit for the Race!